CSR Europe returns to the European Business Summit for the second time with a daylong Brussels Sustainable Development Goals Summit on May 23. This year’s main theme will be about impactful partnerships. Register now at https://www.brusselssdgsummit.org/ and join the debate! CSR Europe has established itself as the European hub for engaging business on the SDGs. Thanks to its network consisting of national and multinational partners, CSR Europe is able to reach out to more than 10,000 companies in Europe and throughout the world. 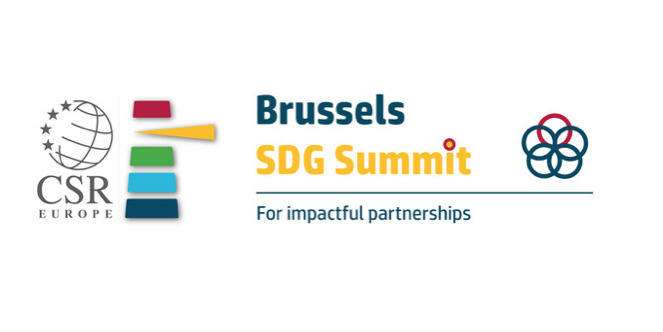 Since 2017 CSR Europe organises an annual conference – The Brussels SDG Summit – within the framework of the EBS. This year the conference will run throughout the first day of the Summit. It will start off with a plenary session during which the CSR’s White Paper on Sector Collaboration and partnerships for SDGs will be launched. Following the plenary session, participants will take part in a series of roundtables dedicated to the achievement of different SDGs.